Considering buying or renting a cottage in Wales? You’re certainly in good company as Prince William and his wife, Kate Middleton, did just that. Their decision to spend the first years of their marriage in a secluded part of Wales reflected their desire for privacy and allowed Prince William to complete his RAF training. So, should you follow the royals and consider a cottage in Wales? Whilst privacy and security rules mean that the exact location of the cottage remains a secret, certain details have emerged through the press. The cottage is located on the picturesque isle of Anglesey in North Wales. 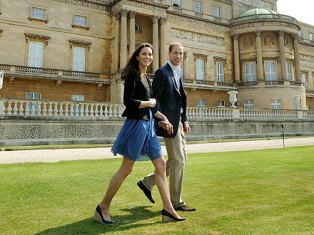 It is not far from the RAF base where Prince William works as an RAF search and rescue helicopter pilot. The building is said to be a whitewashed farmhouse with stunning views of Snowdonia National Park and access to a private beach. The rent is rumoured to be £750 per month. The couple are often seen shopping for groceries in the historic mining town of Blaenau Ffestiniog. They also enjoy visiting the local pubs and restaurants such as the award winning ‘White Eagle Pub’ at Rhoscolyn. The staff keep a close eye on the royals and report that William enjoys a pint or two of bitter and is a fan of the homemade burger and chips. Kate usually chooses fish or salad and tends to drink sparkling water or white wine. Anglesey offers a wide range of outdoor pursuits which both of the royal couple are fond of and enjoy with friends and family when they visit. Kate has been seen walking on the beach of Llanddwyn Island on the west coast of Anglesey with her sister Pippa. Anglesey is a remote island with a relatively small population, yet it offers a wide range of activities for individuals and families. There are several National Trust stately homes for the public to visit and you can immerse yourself in heritage of the area by exploring the steam train network or visiting slate and copper mines. The island is a haven for nature enthusiasts with a vibrant flora and fauna. Anglesey featured in the news this year for its booming population of red squirrels and otters have been spotted for the first time in twenty years. If you’re lucky you’ll also catch a glimpse of the elusive harbour porpoise in and about the coastline. What with so many rare and animals to spot, and the chance of bumping into royalty, you won’t want to forget your binoculars!